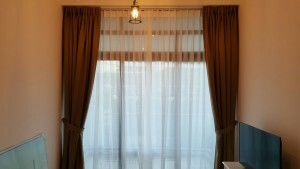 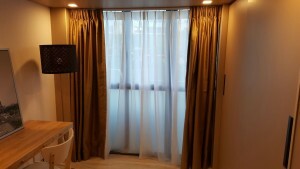 Singapore MTM Curtains fabricated and installed day & night curtains for this customer at J Gate Condo. we did a small piece like curtains to help cover up the minimal exposure of the windows as requested. 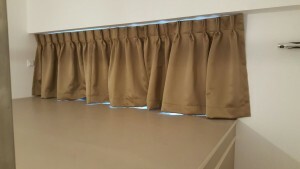 Although we thinks that doing up a roller blinds would be very much appropriate and nicer, however we respect customer decision to do up this small piece curtains.